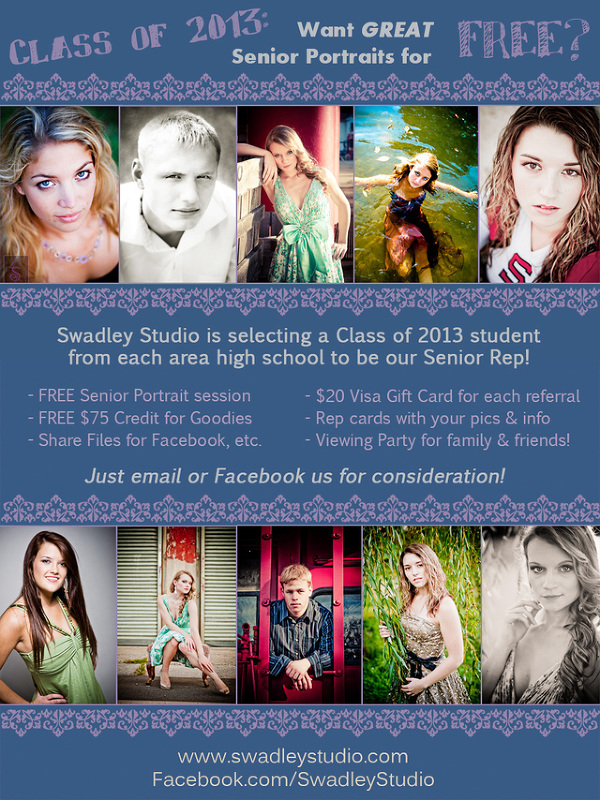 FREE Senior Portraits for Class of 2013! If you or someone you know will be graduating high school in 2013, PASS THIS ON!!! We are looking for one high school senior from EACH area high school (see list of areas below) to be our 2013 Senior Portrait Representatives! What do you have to do? It’s easy! You must be outgoing, fun & willing to show off your photos to all your friends! Pretty simple, huh? – and, of course, the BEST senior portraits around! – Which high school do you attend?